From the Terminator series to X-Men: First Class to Paranormal Activity, the prequel is here and it's here to stay. Admittedly, I fell for the idea that a prequel was exactly as advertised. Then I saw The Thing prequel and realized that I was duped. Like most of people, I was extremely disappointed with The Thing 2011 because The Thing 2011 was in no way shape or form a prequel; it was a remake. Check out my review on The Thing here. However, I think Prometheus will prove the exception to the prequel claptrap. Prometheus of course is the prequel to the Alien films and is the most anticipated prequel outside of the Star Wars franchise. But unlike the other prequels slapped together tenuously, Prometheus is written by Lost writer, Damon Lindelof and directed by Ridley Scott himself, the director of the original classic film. 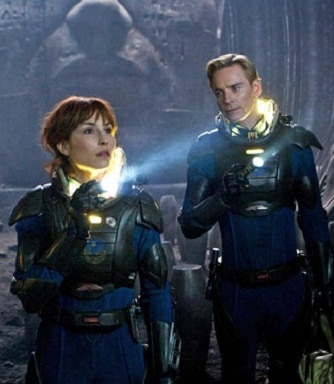 Noomie Rapace and tin man Michael Fassbender. In addition to the writing and directing talent, Prometheus has an all-star cast, including Charlize Theron; current "It" boy, Michael Fassbender; the hottest man alive Idris Elba; former "It" boy Guy Pearce; and the new dragon tattoo girl, Noomie Rapace. With so much going for this film, I think it's safe to get excited. 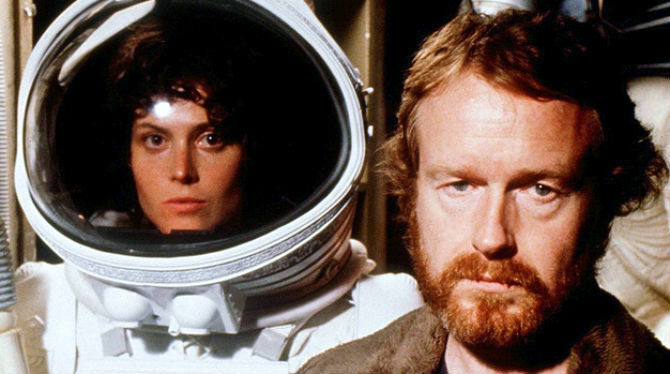 Entertainment Weekly is reporting that Prometheus is about a team of scientist on a ship called Prometheus, who somehow get stuck on an alien planet. Scott is being tight lipped about the project, but one factoid is Fassbender's casting. Fassbender is allegedly playing a Bishop-like cyborg, which was a classic feature of the first two Alien films. Who is the new Lara Croft? Shortly thereafter in 2013, we'll be talking about another big prequel, Lara Croft: Tomb Raider. I guess the original Lara Croft (Angelina Jolie) is too long in the tooth at the ancient at age of 35. (I say this sarcastically as someone in her mid-30s.) Casting rumors have included Megan Fox, Jaimie Alexander from Thor, and Olivia Wilde. The next installment of the Tombraider series will feature a 21-year old Croft and will be an origins film. I'm not holding my breath for this one. Isn't Olivia Wilde well past twenty-one? And I confess - I'd be even more excited about Prometheus if it was directed by Cameron, because Aliens blew Alien out of the water. Olivia Wilde is utterly horrid as an actress. She's a one trick pony like Keira Knightly. I hope to God she's not cast as Lara Croft. Nor Fox, either. Jaime Alexander is pretty decent, though. She was great in Thor. Prometheus should be awesome. I cannot wait for that. Scott is also amping up for another run in the Blade Runner universe. Prequels are great as long as they make sense PA3, I'm talking to you. LOL I hope Peli's not planning PA4: the zygote possession. In regards to the Lara Croft prequel, it's the story they need to worry about, not the actress. Jolie's got some chops, but she couldn't do much with the scripts she was handed. And I've got to disagree with Melissa Bradley in regards to Keira Knightley. Anyone who's seen her performance in Pride & Prejudice, especially the marble bust scene, knows she is a good actress.